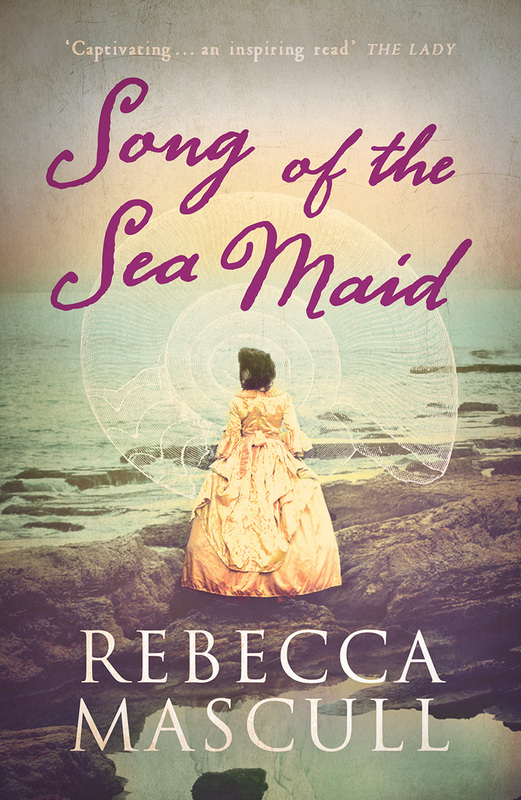 HAPPY PAPERBACK PUBLICATION DAY FOR SONG OF THE SEA MAID BY REBECCA MASCULL! I’m delighted to say that today the paperback for my second novel Song of the Sea Maid comes out. To celebrate, here’s a bit of an intro to the book, with lots of Prime Writer thoughts along the way. In an era when women rarely travel alone, especially for scientific study, Dawnay sets sail aboard The Prospect to the beautiful Iberian Peninsula. Amid rumours of mermaids in the sparkling waters, she makes some unexpected discoveries, including what it means to fall in love. I love the way she’s looking away from the reader to the horizon, and the contrast between her lovely though constricting silk dress and the wild, rocky vantage point she’s chosen. It speaks to me of yearning, of longing. But also you have no idea of whether she is expecting someone…or whether she’s in despair, searching for someone who might not come…Her dress is beautiful, as are the colours. And I love the typeface they’ve used for your name! The contrasts are well represented: we see Dawnay’s mind at the centre of the page and the story, at the heart of the nautilus shell that fascinates her. She looks out to sea as she searches for the answers to the scientific questions she is working on. So, there you have it. I’m so glad to share the paperback with you all. I hope the seas are set fair for Dawnay’s further journeys out into the world. If you read the book, share your thoughts about it here on the Prime Writers website by commenting below. And thanks for reading!